I start with a story. When I was young and naive, I remember being coerced into going up to London for the January Sales, when the January Sales started on Boxing Day, and not in September. I remember queuing outside Selfridges in the freezing cold in London’s Oxford Street and then the doors burst open like an overripe haggis and we all fell into the warm and fuzzy madness that some people get rather excited about. Amongst the carnage, all sense of courtesy and patience was lost in the buying frenzy that ensued. People were pushing and shoving at each other and at the shop assistants as they clamoured for help to make their purchase and get back to their homes for the Boxing Day snoozathon. The poor shop assistants were bewildered and buffeted by the hordes and I had no hope of gaining the attention of anyone, having miraculously found a pair of jeans that were heavily reduced. 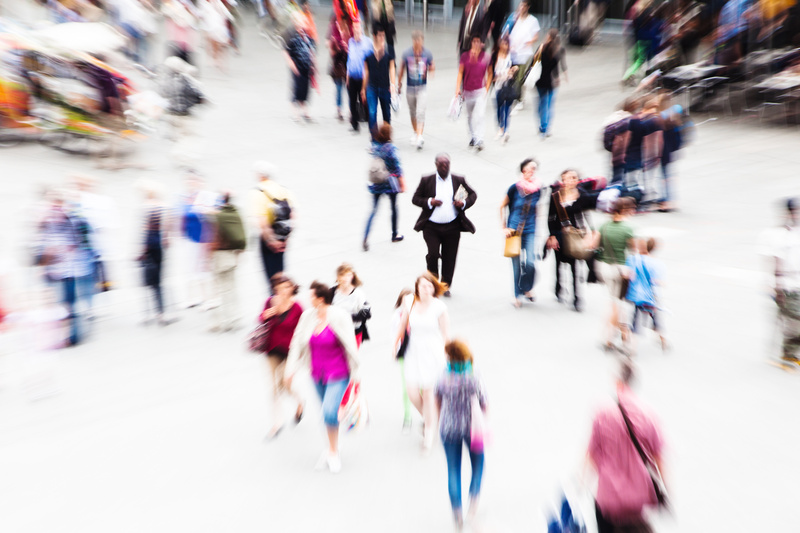 I attempted to join the scrum but there were far more determined shoppers than I.
I paused and thought for a moment – rather than joining the masses, what about if I did the opposite? What effect might this have? So I calmly and deliberately retreated to the edge of the scrum and stood, stock still, holding my jeans in one hand and fixing my gaze on one of the shop assistants. ‘Be patient’ I told myself ‘sustain your gaze’ and within a short period of time the shop assistant returned my gaze. Like a scene out of West Side Story, we walked towards each other while the mayhem continued and eventually we stood face to face. ‘Can I help you sir?’, she purred. ‘yes could I buy these jeans?’. ‘Certainly sir; that will be £5 please’. 1. Do the opposite of whatever is happening around you. This immediately creates a counterpoint and will guarantee that you draw the attention of your audience. 2. Sustain the action. Hold it for as long as you dare. This will draw the flow of attention to you, minimising all that is going on around you. 3. Be at ease. Conduct the whole action with a feeling of ease, breathing in synchronisation with your actions. Good luck! 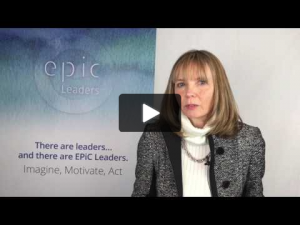 To find out more about how to be an EPiC leader, click here to arrange a conversation with one of our Consultants or call us on 00 44 1932 888 885. (If you prefer to view this content in video format, click the link above). My friend and Professional Organiser, Denise Allan, was sharing tips on morning TV the other day about how to keep your home tidy and she said “Clutter is postponed decisions”. And then I began to look about me. The areas of clutter in my own home (Those drawers that contain stuff that we never use, but haven’t decided what to do with them. That pile of papers, not urgent, yet waiting for a decision. The neglected area of the garden, waiting for us to decide whether to plant or pave it). Consider then the tidy areas (The utensils, we decided exactly which ones we want in the drawer. Those we use only on rare occasions are kept in a different cupboard. The living areas are tidy – most of the time! Everything has a place and is put away at the end of each day). It seems therefore, that clutter does indeed represent postponed decisions. 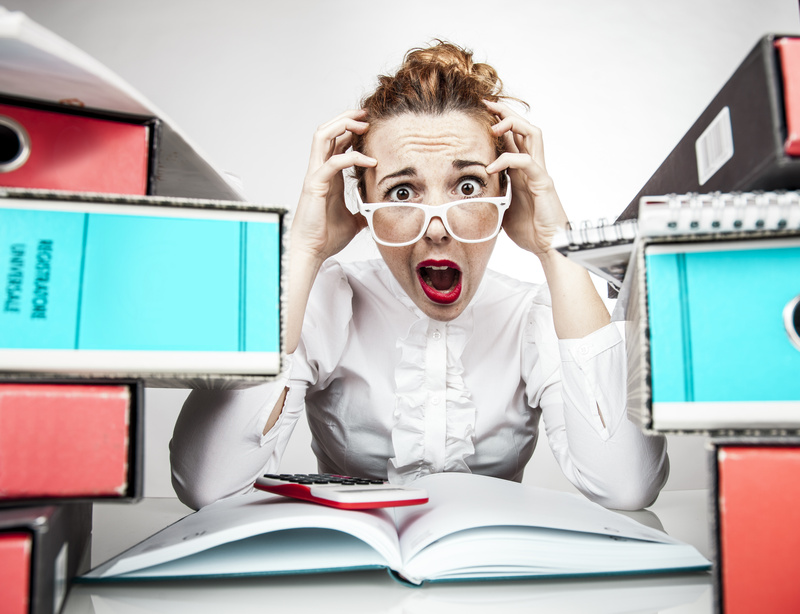 Did you know, however, that a similar thing happens in the brain – the clutter, or mental chatter, that accumulates. The endless spin cycle of thoughts, that take up so much head-space. The more we postpone making a decision, the longer the spin cycle and the bigger the load. When you feel exhausted, and there is no apparent reason for it (that is, you haven’t been up for hours, or pushed yourself mentally or physically), ask yourself what are the thoughts that are going around in your head? What decisions might you be postponing? Raj Raghunathan PhD. Associate Professor afilliated with Dept of Marketing at University of Texas, McCombs School of Business ran a study to look at mental chatter. He got the students to write down their spontaneous thoughts. These are the thoughts that occur before the student attempts to put a positive spin on them. Prior to the study, most students predicted that 60-75% of their thoughts were likely to be positive. The results were surprising. Up to 70% of the spontaneous thoughts that were actually recorded were negative. Inferiority eg: Will someone else do better than me? Love & Approval eg: Why wasn’t I chosen? Control Seeking eg: Why won’t people listen to me? You will notice how these thoughts are all about external validation and comparison. So what is the connection between clutter clearing at home, mental clutter clearing and this study? Once again, we’re back to decisions. With these decisions already made, they have automatically freed up space in their heads so that they can tap into their creativity, be more resilient and self-assured, gain clarity and the energy needed to deal with important matters. It really is like opening the filing cabinet, boxing up everything unnecessary and archiving it. When we work with clients, we focus on simple, practical steps that make the biggest difference to them, their teams and their organisation. By the way – if you could use some clutter clearing tips for the home, here is that clip of Denise in action. To read an article about Professor Raghunathan’s study, click here. 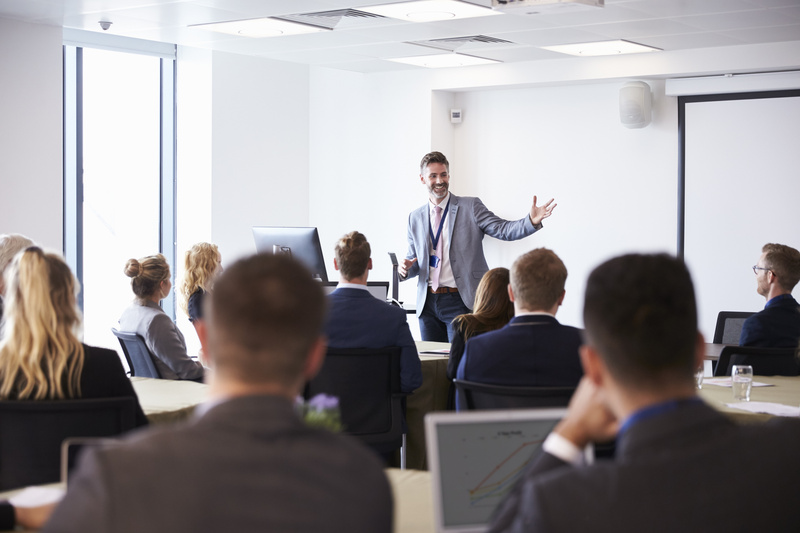 Leaders, public speakers and anyone in a position of influence need to develop a sense of dilation when preparing to speak, meet, influence, pitch or perform through face to face communication. What am I talking about? Am I talking about the pupils of the eye dilating when you enter a darkened room? Well, sort of. Dilation is defined as the action or condition of becoming or being made wider, larger or more open. So what does this mean and why is it relevant to leaders and communicators? Let’s take a step back. What‘s the point of public speaking? 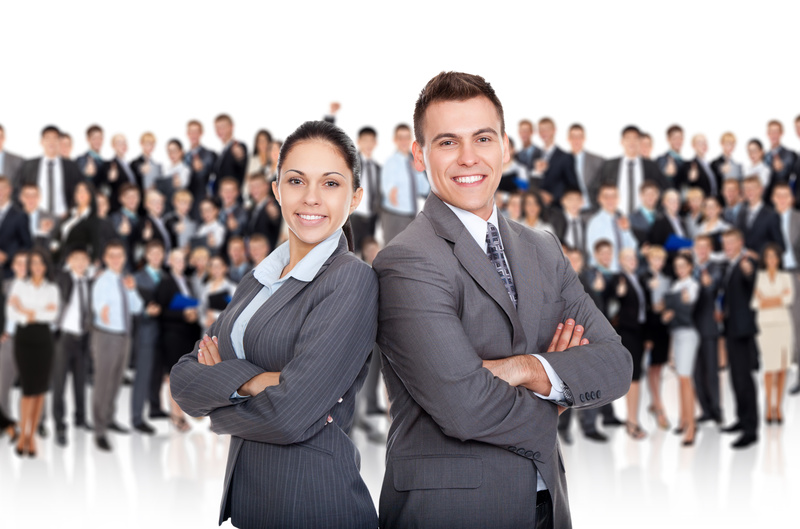 Actors and professional speakers understand that they are there to move people from one position to another. To move you to tears, to change your view, to enlighten you about a particular point of view, to engage you in a new or refreshed way on a subject that might have turned a bit stale…? You get the point. In order to accelerate this influence and for it to be energised, impactful and memorable, the communicator needs to dilate! 2. The gestures are energised for instance hand gestures – so that the message is fully committed and not diluted by weak energy that allows the gestures to ‘leak’ away. Imagine the energy flowing through the ends of your fingers and out into the atmosphere. Don’t stop the energy flowing too soon, otherwise your fingers might look like damp lettuces at the ends of your arms! 3. The words used are energised. The vocal delivery is fully supported by the diaphragm and is clear and resonant. The delivery ‘hums’ and hits the target. There is a sense of crescendo in the energy of your speech. 4. The thoughts are present and alive! The speaker is fully alert to what is going on around him or her. 5. The atmosphere is electric. The speaker is reaching out to the audience with strong stories that stimulate the audience’s imagination – so that they are fully engaged. Another way to look at Dilation is to regard the whole process of communication as an energy flow similar to that of a river or a sea tide that carries any debris or blockages along with it and builds towards its call to action. Irrepressible, unstoppable, irresistible. If you like receiving Insights, please share your enthusiasm with your friends and colleagues. Our mission is to create a happy, productive work environment that lays the foundations for success. If you are interested in this topic or would like to discuss communication in your business, click here or call us on 01932 888885. Are You Successful At Managing Up? This is an interesting topic and the reason I am posting it now is because it is a challenge for so many and specifically because one of my clients raised it with me the other day. Firstly, I’d like to define what Managing Up means, in my view. Managing Up is to be a trusted colleague and to have a voice with those who are of a higher status than you, your boss, for example. It is perhaps an unfortunate term, as it can suggest the tail wagging the dog and that is far from the truth and a million miles away from what anyone needs or wants. I see Managing Up as distinct from Delegating Up, which will be discussed in a future article. Why is it important to be able to Manage Up? At times, maybe often, you will see things that others don’t see. You will have a unique perspective, based on who you are, your experience, your knowledge and your understanding of a situation. Sometimes, your unique perspective might be just what is needed. 1. Rename, reframe – Instead of Managing Up, it might be helpful to think – How can I become a ‘trusted colleague’? You are trying to create a relationship that is mutually respected. Where you can voice your opinion safely and can work together for the benefit of the company, clients and team. There is no ‘management’ to be done, there is only collaboration and openness. 2. Know the parameters – Every relationship has parameters that must be observed to be successful. This is key to your success here. One of the biggest mistakes people make is to believe their value as an employee is attached to being right and this can damage the relationship. When you believe success relies on your advice being acted upon, as soon as you have won the argument (assuming you do), you may well have damaged the trust. If your point is not acted upon, however, you are likely to feel aggrieved. Remember, you don’t have the responsibility that your boss has and you won’t necessarily share the same perspective as each other. Your boss might have a broader understanding of the strategy, for instance. Therefore, it is good practice for a trusted colleague to detach from the outcome, when it comes to offering up your ideas and opinions. By all means, get fully behind your proposition and give it your best. Then let go. Your boss owns the decision. 3. Think first – Is what I am about to share constructive and positive? Does it benefit my boss, the organisation and the team? 4. Practice patience – It is easy to get frustrated. It takes strength to practice patience. It will pay off. Focus on your own deliverables and make sure your work is of the highest standard, avoid getting distracted by politics, gossip or what other people should be doing and remind yourself that rejection of one idea or opinion does not mean a rejection of you. Stay confident, stay open and whatever the result, know that you have at least sowed a positive seed and a different perspective. Wishing you luck! Please share your experiences with us. It is always so inspiring to hear when you have had a great result. 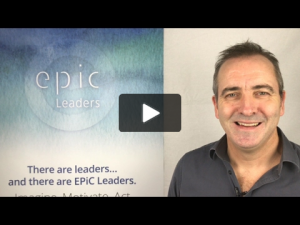 To find out more about how to be an EPiC leader, click here to arrange a conversation with one of our Consultants. The starting point to owning it or taking personal responsibility begins with the mindset. It’s about making a proactive decision to be responsible for the actions that you take. In another EPiC Insight (Developing a Feeling of Ease) we touched on the importance of the Hierarchy of Control™. This is required to identify and correct the state of our bodies before we communicate with a sense of personal responsibility. Taking personal responsibility begins with a mindset, but very crucially continues with tangible steps that we can take in order that our actions are proactive, specific, and uncluttered. Today I’m going to talk about emotional control which follows the physical control discussed in an earlier insight. It is really important, in order to be able to start controlling emotion, that you first recognise its presence in you and others. It is vital that you are able to acknowledge that the way you respond to a situation differently to how you responded yesterday is driven by a change in emotion or mood, we might say. So if you feel that you are in a type of crazy where everything you do is affected by a negative emotion STOP it right there. Pause, breathe, allow the emotion in and let it pass away. Meditative exercises are useful at the beginning of the day too, to set you up in the right frame of emotion for the day, without any baggage hanging over from previous interactions or experiences. For others, consider what is driving the intention of the message-giver and disseminate what parts are driven by logic and what parts are driven by emotion. Give the message-giver time to reflect on their own use of language with advanced listening skills. Once you have reached the state of reading emotion so that your emotional antennae is properly tuned, you can more quickly identify it in you and others. It allows you to make decisions, rather than wallowing in the chaos that a lack of control can allow in. In others, for instance, if you’re faced with an aggressive salesperson, rather than reacting in an equally aggressive way, a more emotionally intelligent decision might be to use non-verbal language to indicate that you are not comfortable with the approach and therefore give the other person the opportunity to adapt their own emotional state. This tactic can work well in personal relationships too as the other person will be finely tuned into body language through their deeper understanding of you. Students of Emotional Intelligence will quickly become aware that the understanding of you and other’s emotional state is a bit like predicting the weather. It constantly changes and although you can take a fair guess at what emotional state you might be walking into, it has a habit of surprising you. However, with practice, we can prepare more and more accurately by forecasting what sort of emotional situation we are going to be entering by thinking through the situation. This requires a degree of strategy or big picture thinking in order to keep the mind open to the variations that you haven’t quite planned for. Stay nimble, and alert. Particularly, stay present! The key to managing emotion is self-regulation. It’s not easy and we all fall off the wagon, but so long as your intention is to control your reaction, you are more likely that not to achieve a positive outcome. Ultimately this – the positive outcome – is what we are driving at. It is very easy to fall into a temper tantrum if you haven’t applied self-regulation. Being able to self-regulate your emotion, to communicate in an emotionally intelligent way how you feel, the more smoothly your interaction with people around you will go. Good luck. Give yourself plenty of opportunity to develop this skill and be kind to yourself if it doesn’t work the first, second or third time to try it. It will improve each time. Now you are ready to move onto the next level – Your Feeling State. More on that in a future article. One of the great enemies of action is procrastination. Procrastination is that place we go to where we are merely addressing the past or the future and not what we are doing now, in the present. Like most things, it becomes habitual and takes many forms. It’s the devil on your shoulder that says “have one more coffee”, before your get to work, “go on Facebook”, when you have planned to go for a run, “daydream” instead of paying attention to class, “Listen to another expert” doing what you know you can do without the need for their expertise…and so on, and so on. Being present is when you are perfectly at peace with the current situation that you are in. You are fully aware on a sensory level where you are and what you are doing. It’s a form of action that is immediate, committed and fully open and responsive to what is happening at that time. The notions of the Past, Present and the Future are critical frames for how we communicate. For instance, the Past is the rich well of stories from our experience that we can tap into. The Future is the anticipation, excitement and vision of what the actions of today can engender for you and your audience tomorrow. The Present is very often the element that is given least thought. And yet, this is where, through action, that being present can enable the rich learnings of the Past and the exciting visions of the Future are communicated. So, how do we stay present? The first thing to recognise is that, try as we might, we really can only do one thing at a time, so we ought to do that thing wholeheartedly. Most of our time is spent in the past or the future, rather than the present moment. What we end up doing is passing through that moment on the way to somewhere else and, in doing so, we miss the moment. That’s how life ends up passing us by – we do it to ourselves. Breath, along with change, is the only constant, and being present starts with the breath. Simply draw a deep breath and let it out through your nose. When we breathe through our mouth it triggers a subtle anxiety response, which increases heart rate and redirects blood flow. That’s why you rarely see elite runners and cyclists panting, and why one of my own martial arts instructors used to make us train for hours with a mouthful of water. A slow release of breath through the nose has the opposite effect of mouth-breathing, and draws a relaxation response. 2. What are you doing right now? Not being present is easy. There are bills to pay, and kids to pick up at school. There are doctor’s appointments and reports to write, books to read, parents to resent, loved ones to miss and the list goes on and on. 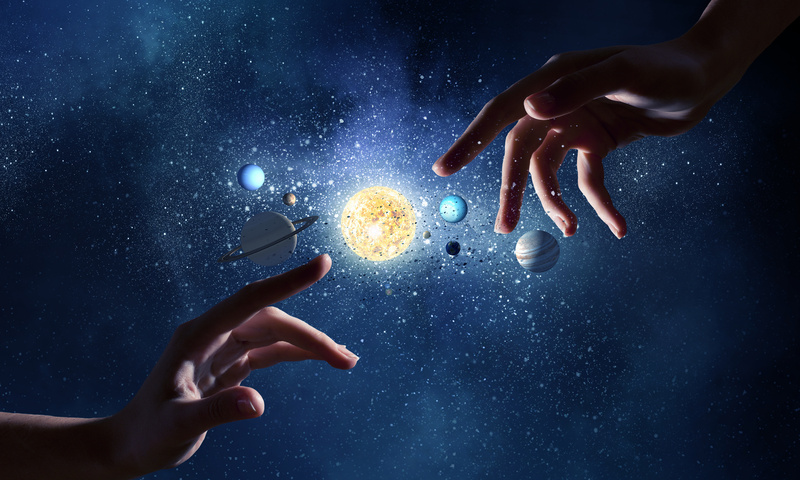 With all that going on – past and future – it’s no wonder that presence is so elusive. It is not, however, as elusive as you might believe. – Internal Focus – why are we doing this action? – External focus – what action are we doing? The key is to look to synchronise these focuses so that they become as one. This will make it easier for us to stay present for a longer period of time: committed, concentrating and sustaining our attention on the matter n hand whether it be a simple action of drinking a cup of tea or a more complex action of seeking to understand a message from a colleague. When the world or your thoughts begin to again intrude, simply come back to the breath. Inhale, and release your exhale to unbind yourself from the shackles of the past and the anxieties of the future. The constancy of breath can create the constancy of presence for us, if we choose to show up. Prepare these actions with a feeling of ease. The more your practice these layers of being present the more readily they will come to you. 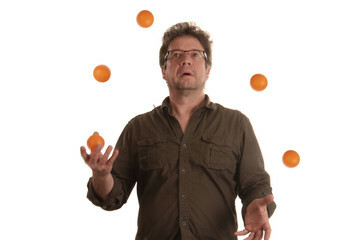 Remembering What Balls To Juggle Has Saved My Life! “Imagine life as a game in which you are juggling some five balls in the air. You name them – work, family, health, friends and spirit, and you’re keeping all of these in the air. But the other four balls – family, health, friends and spirit are made of glass. If you drop one of these, they will be irrevocably scuffed, marked, nicked, damaged, or even shattered. They will never be the same. We must understand that and strive for balance in our lives. Don’t be afraid to encounter risks. It is by taking chances that we learn how to be brave. President and CEO, Coca-Cola Enterprises during his speech at the Georgia Tech 172nd Commencement Address Sept. 6, 1996. Well, maybe not, but being consistent might give you more time for what you really desire in life! How consistent are you? How do you even feel about that word? The word ‘consistent’ conjures up for some a feeling of security, order, structure and calm. Others believe it to mean boring, relentless and lacking in adventure – and they will want to run away fast! If you find it hard to be consistent, this Insight is for you. I can confess to being in the latter category probably until my late 20s. Loving jumping into projects that have an exciting potential, a defined lifespan and, of course, an end. The thought of having to be ‘consistent’ at one thing day in, day out, for an undefined length of time would have me resisting from the outset. It felt like a sentence, something that drained the passion. I never saw it as the platform that allowed me to develop my passion. So, as life isn’t made up entirely of new and exciting projects, I needed to find a way of being consistent. I found that I was really good at creating processes. I would see how things got done, make connections and links and I would design a process to make it better, more streamlined, more efficient (and – top desire – easier!). Today, consistency is a word that means FREEDOM. Freedom to do what I do best, the work that I love the most, and it helps me to maintain high standards. 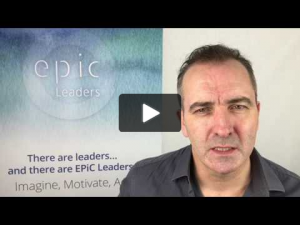 We share this skill with our clients as one of the foundation stones of our EPIC Leader Programme and we watch their results, as they grow their business, boost their brand, and deliver VIP service to their clients. Are they perfect? No. Neither am I! In fact, by way of example, I noticed only recently that bereavement had a huge impact on my own ability to be consistent and to follow processes and it showed. As our business grows and changes, we look for more and more ways to get consistent in what we do and it fuels, rather than drains our passion. My clients are still learning and growing, as we all are. As their business gathers momentum, there are new challenges to overcome and new problems to solve. They are continually compelled to grow, personally and commercially. It is the same for Leaders in businesses everywhere. Whether you are a Director, a Senior Leader, or a new Leader, a parent, leading your family, or even if the only person you are leading is YOU, you will find freedom in consistency. Grab the opportunity to become more consistent with both hands and give it a big kiss on the lips because it really is your ticket to the FREEDOM to do more of what you really desire! 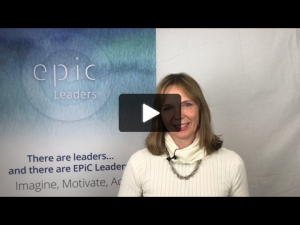 If you would like to find out how the EPIC Leader Programme can bring you more consistency, please click here or call us on 00 44 (0)1932 888 885. Not so many years ago, sat navs in cars were a luxury item. These days they are ubiquitous and if you haven’t got one, likelihood is there’s one on your smartphone. Along with the increase in the use of this technology, the art of map reading has declined. I used to enjoy using maps. I loved (still do) to travel and I liked the way the contour lines would tell me whether the ground is flat or hilly. I enjoyed the fact that I could make choices about whether to take the motorways, or a more relaxed route along the A and B roads and to plan the best locations to stop off for lunch. Maps give a visual overview of an area quickly and there are markers that signpost important aspects of the place. Places of interest, lakes, villages, towns, vantage points and more. For me, just thinking about maps makes me feel giddy with the anticipation of a journey and my heart beats a little faster. I remember my very first experience using a sat nav. I was on a family holiday in Portugal. We arrived at Faro airport and programmed our electronic companion to take us to our holiday home. It was so easy! So good in fact, that we used it every time we left the house for trips out. Yet, a week into our holiday and we still couldn’t find our way home without it. We had become dependent upon our programmable friend and baffled by our inability to remember the route home – it would normally only take a day or two to get familiar with the area. The penny dropped. We had stopped looking out for patterns and landmarks and junctions. We had effectively ‘switched off’, no longer seeing what was around us. No longer getting a ‘feel’ for our surroundings. So, we decided to leave the sat nav behind and instead enjoyed finding our way using a paper map, road signs, landmarks and our own recollections. We made a conscious decision to get to know the area. Free to explore, we found little restaurants that we hadn’t seen before. We noticed the village church and discovered its curious vault, wallpapered with ancient human skulls. We found a fabulous marketplace for the locals, which sold ultra-fresh fish and vegetables from local growers. We bought there rather than going to the bland and uninspired supermarket on the highway that we had been using. We felt that we had finally arrived. Connecting with the area and the people who lived there. Sat navs are useful for one-off journeys – to get from A to B, but if we want to connect with an area and with the community that lives there, we must engage with it personally. The same applies to people in business and in life. Life is so busy today, most people are in the habit of making snap decisions about others, encouraged by both mainstream and social media and by the current trend for labelling people and putting them into boxes. They make assumptions and judgements about people. They listen to the comments of others and draw conclusions. All this, without taking the time to get to know a person. And the real tragedy is that in doing so, they miss the treasures that are there to be unearthed in each of us. 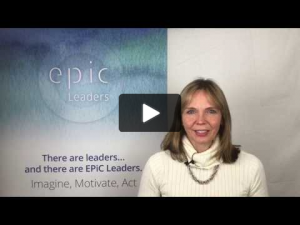 EPIC Leaders and Teams are different. 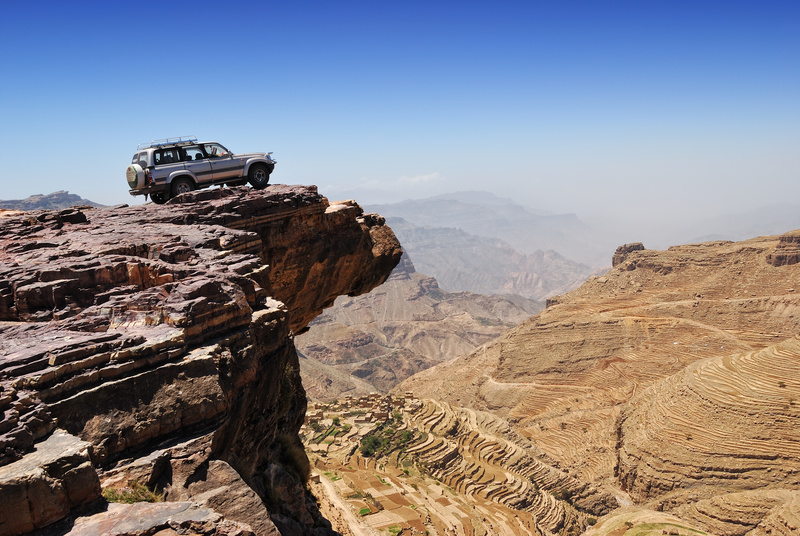 They know when to use the sat nav and take the fastest route, pushing through to get things done; and when to turn off the metaphorical sat nav and take time to explore and find out more. This week, I invite you to take a little time to uncover some of the hidden treasures in the people around you. If you would like to know more about our services for Leaders, Speakers and Teams, please click here or call us on 00 44 (0)1932 888 885. (If you prefer to receive this content in a video format, click on the link above). 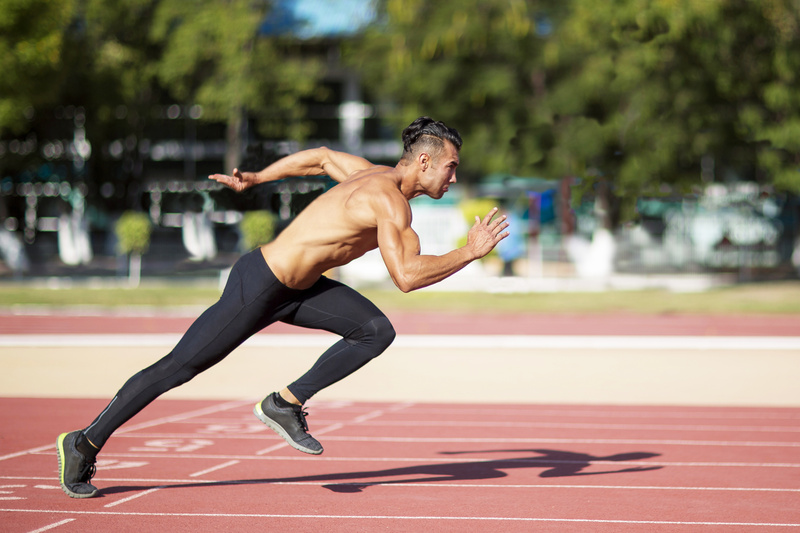 Do your employees believe they should be on a faster track? The Millenial Generation heralds a new era of employees and organisations have to manage their expectations together with the business imperatives. This can cause issues and you may well be feeling it too? When the employee expects to move quickly up the career ladder, yet the business needs to move at its own pace. Or when the employee demands a promotion before they are ready. 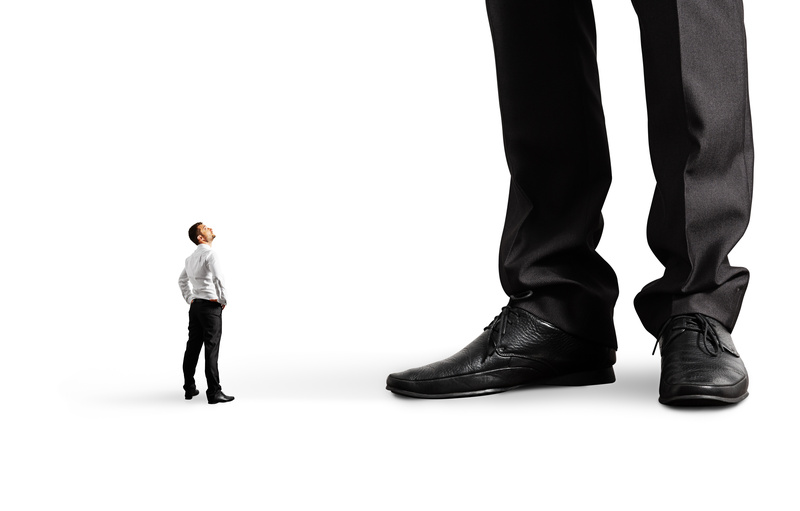 Is this gap between expectation and reality becoming increasingly apparent in your business? How easy is it to tell an employee that now is not the time for promotion and keep them motivated to stay? It can be a difficult conversation. But you are used to having difficult conversations, right? However, it is far more difficult when the employee can’t or won’t accept the decision. Today, it often means that the employee will move on to a company who will give them what they are looking for. For now at least. Managing career expectations can be difficult. Retaining staff and keeping them focused is a challenge. All too often, employees with potential vote with their feet when they no longer value the relationship enough to stay, and if the statistics are to be believed, many more of them right now are on the look out for a better opportunity. You can always throw money at them. Or, you can give them the promotion they seek, even if they are not ready for it. The other alternative is to build a relationship that is valued by both parties. What is most important to them? What are their aspirations? (There’s a caveat here – only get curious if you can do so without judgement). People respond well to clear and honest feedback. If they are not ready for promotion, it is far better to have the discussion openly and honestly. Be specific about any skill gap. Find ways to keep moving your employee forward. Progress towards something that matters to the person is where their fulfilment lies. If they are not ready for promotion now, or if there is not a position available – there will be other ways that the business can support their progress and development. People tend to be most attracted to people and organisations that are going to have a good time and be successful with or without them (think Richard Branson). We’ll share more about this in another Insight. 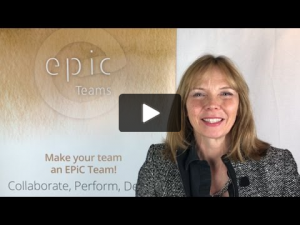 To find out more about how to build EPiC teams, click here to arrange a conversation with one of our Consultants.